One San Pedro is the redevelopment of the Rancho San Pedro Affordable Housing Community to expand the available affordable housing, while creating a mixed-use, mixed-income, amenity-rich environment that stitches together the surrounding neighborhoods into a cohesive community. 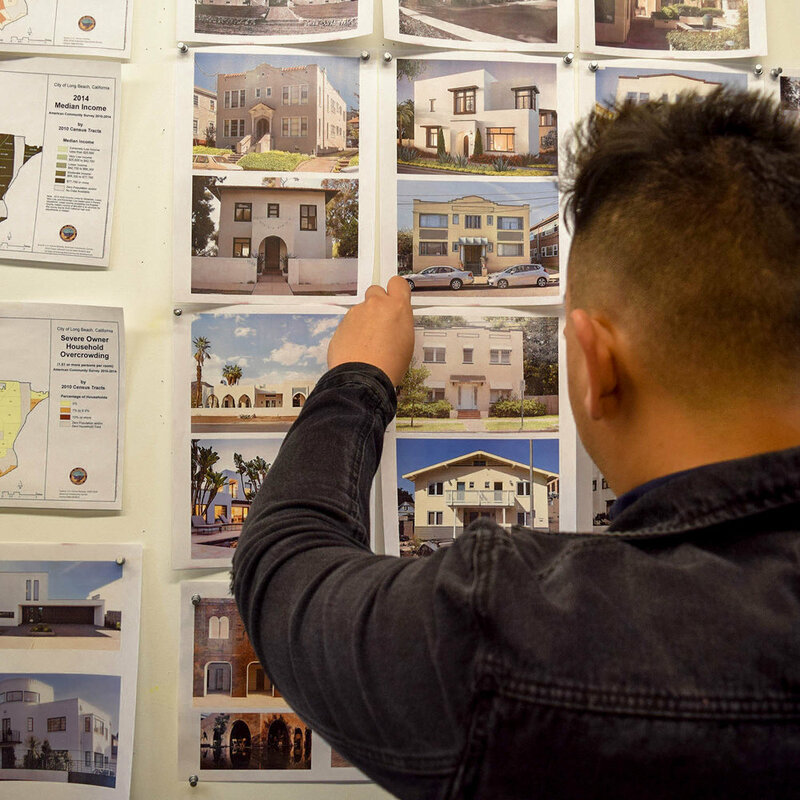 The One San Pedro plan includes a multiphase approach to public and private development that replaces the existing affordable housing stock for current residents, while limiting impacts from construction. This while establishing a network of new open spaces, community amenities, and active transportation infrastructure. City Fabrick is collaborating with a diverse array of affordable and market-rate developers, the City of Los Angeles, and an expansive team of consultants to work with residents and local stakeholders to establish the initial development plan. City Fabrick is continuing to collaborate as the plan is refined through further discussion and engagement.